OK, so I said yesterday that I would be on a blogging break this week, but this is pretty important. The U.K. Supreme Court has agreed to hear Huawei and ZTE's appeals in the Unwired Planet and Conversant cases. Read all about it on FOSS Patents and IPKat. For previous discussion on this blog, see, e.g., here and here. This will surely be a topic of discussion at the Fordham conference later this week! Labels: Antitrust, Competition law, FRAND (RAND) Royalties, Injunctions, U.K. I will be taking a blogging break this coming week, to catch up on some other matters and to attend the Fordham IP Conference. I hope to see some of you there. 1. Judgment of the Osaka District Court, 21st Division, March 22, 2018: The court found that 61% of the defendant's air duster products contain absorbers with an ash content within the infringing range of 1 to 20% by weight, and thus (1) enjoined the defendant from marketing products with absorbers falling within that range, and (2) awarded damages under article 102(2) comprising 61% of the defendant's profit from sales of air dusters. 2. Judgment of the Tokyo District Court, 40th Division, March 2, 2018. The court found that the plaintiff had obtained a patent on an invention made by the defendant, and then sued the defendant for infringement; the defendant counterclaimed in tort. The court dismissed the plaintiff's complaint and awarded the defendant ¥5.5 million (about US$50,000). 3. Judgment of the Osaka District Court, 21st Division, Feb. 15, 2018. The court recognized that, where an infringing product owes some of its success to the defendant's improvements to the patented invention, it may be appropriate to reduce the plaintiff's damages award; but in this case, only of the products added any inventive element, and it was of minor significance. The court awarded the defendant's profit, reduced by only 5% for the product embodying the minor improvement. As regards the period of limitation for claims due to infringement of a patent right, the provisions of Part 5 of Book 1 of the Civil Code shall apply mutatis mutandis. If the infringer has gained something through the infringement at the expense of the entitled party, Section 852 of the Civil Code shall be applicable mutatis mutandis. If by a tort the person liable to pay compensation obtains something at the cost of the injured person, then even after the claim to compensation for the damage arising from a tort is statute-barred he is obliged to make restitution under the provisions on the return of unjust enrichment. This claim is statute-barred ten years after it arises, or, notwithstanding the date on which it arises, thirty years after the date on which the act causing the injury was committed or after the other event that triggered the loss. 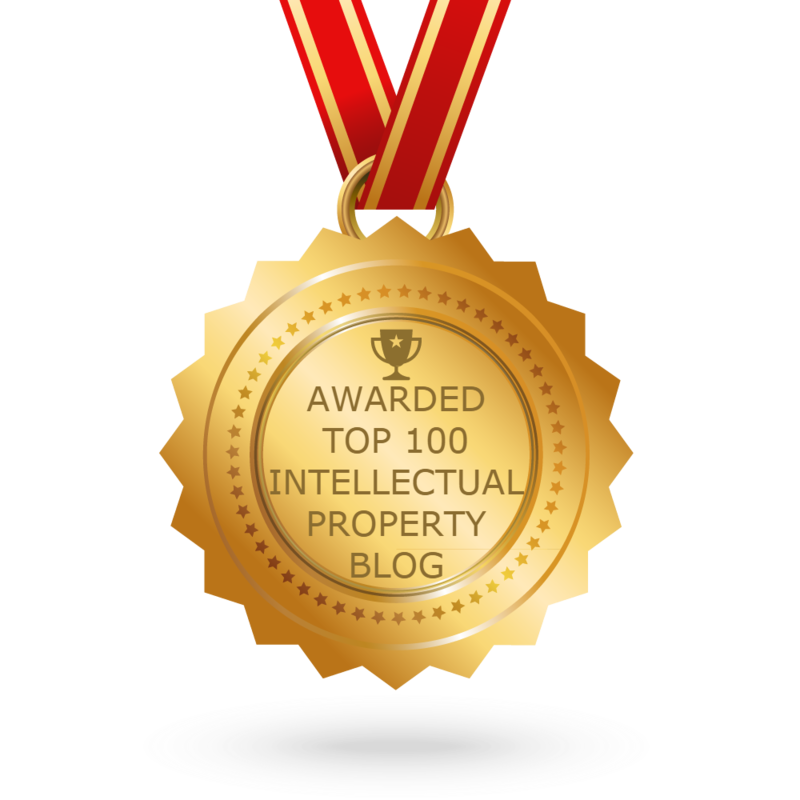 So even after the three-year period, the patent owner may get to file a claim, but for what? The term used for the damages the patent owner may recover under these circumstances is Restschadensersatz, or residual damages. Prevailing opinion is that these damages consist of a reasonable royalty only. See Benkard Patentgesetz, § 141 ¶ 6, at 1505-06. The argument appears to be that the only benefit the infringer derived at the expense of the entitled party is the royalty it didn’t pay. For a contrary opinion, however, see Matthias Hülsewig, Der Restschadensersatzanspruch im Patentrecht—beschränkt auf die angemessene Lizenzgebühr?, GRUR 2011, 673, arguing that the patentee should have the option of recovering the infringer’s profit or a reasonable royalty. A few weeks back Dr. Hülsewig kindly emailed me a copy of a 2015 opinion of the German Federal Supreme Court in a copyright matter, in which the court states that the question of whether BGB § 852 permits the recovery of the infringer's profit remains an open question. See paragraph 34 of Judgment of Jan. 15, 2015, I ZR 148/13 (BGH)--Motorradteile, available here. In addition, as Dr. Hülsewig pointed out, the new 11th edition of the Benkard treatise on German Patent Law now also takes the position that claims for residual damages are not limited to reasonable royalties but also may include the disgorgement of other pecuniary benefits the infringer has derived ("Daher kann der Rest-Schadensersatzanspruch nicht in jedem Fall auf die (stets geschuldete) angemessene Lizenz beschränkt werden; vielmehr können auch weitere Vermögensvorteile herausverlangt werden" (section 141, p. 1907). So perhaps we are witnessing a change in the majority view of what claims for residual damages may include under German law. Well, it looks like the change in the majority view is now complete. Two weeks ago Dr. Hülsewig emailed me the BGH's Judgment of March 26, 2019, X ZR 109/16--Spannungsversorgungsvorrichtung ("Power Supply Device"), in which the court definitively holds that the patentee can demand the disgorgement of the infringer's profit as residual damages. As my previous blog posts on the subject suggest, I'm not convinced this is a great idea as a matter of policy, but the doctrine now appears to be settled. From the "I didn't see that coming!" department, Apple and Qualcomm just announced that they have settled all worldwide litigation. Stories so far from the Wall Street Journal, Bloomberg, and Law360. More to come, surely. This doesn't directly affect the FTC's suit against Qualcomm, for which we're still awaiting Judge Koh's opinion. Update: See also this follow-up story on Law360, which quotes me; this one on FOSS Patents; and this one on Bloomberg. 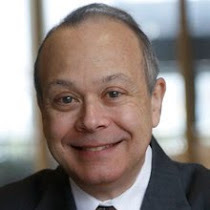 On Thursday and Friday of next week, April 25-26, the Emily C. & John E. Hansen Intellectual Property Institute at Fordham Law School will be presenting the 27th Annual Intellectual Property Law & Policy Conference. There will be a number of prominent speakers from around the world, and some of the sessions will address remedies and enforcement issues. I will be on the competition law panel on Friday, April 26 at 2:45, along with Professor Eleanor Fox, Milan Kristof, Suzanne Munck, former FTC Commissioner Maureen Ohlhausen, and Thomas D. Pease. Here is a link to the conference webpage, from which you can access the program and other information. 1. Last month on IPKat, Eleonora Rosati published a post by Paola De Donato titled Patent infringement and recovery of profits in Italy: doctrine of equivalence and requirement of negligence, discussing a decision of the Tribunale di Genova on damages and recovery of profits. Here is a link to the post, and here is a link to the original decision. Long story short, the court concludes that the plaintiff is entitled to recover from the principal defendant its actual damages, consisting of certain expenses incurred to investigate and try to settle the dispute, etc. (apparently a distinct item from the recovery of litigation costs, which are also awarded), and the disgorgement of the defendant's profits. However, the court denies the recovery of damages against two other defendants who were neither negligent nor willful infringers (being the importer, distributor, and retailer of the accused product in Italy). 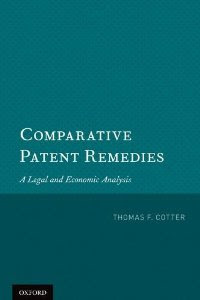 For brief discussion of the relation between fault or state of mind and remedies in certain countries, see my book Comparative Patent Remedies pp. 245, 256-57, 308-09, 354. The position articulated by the Italian court seems similar to the position of the courts of France. See also INPRECOMP's discussion of this topic here (pp. 14-19). 2. In February, Norman Siebrasse published a post on Sufficient Description titled Airbus v. Bell Punitive Damages Award Upheld. The post discusses a recent decision of Canada's Federal Court of Appeal affirming this judgment from 2017, which awarded Can.$1,000,000 in punitive damages (twice the amount of the actual damages). No surprises in the judgment itself, but seeing how uncommon it is for courts outside the U.S. to award punitive or enhanced damages for patent infringement, it is significant. For previous mention of the trial court decision on this blog, see here. 3. In addition to his thorough coverage of the Qualcomm litigation in the U.S. and Germany, Florian Mueller published an interesting post on FOSS Patents a few months ago titled When defending against standard-essential patents, beware of standard-essential utility models. (For previous discussion on this blog of utility models, see, e.g., here.) 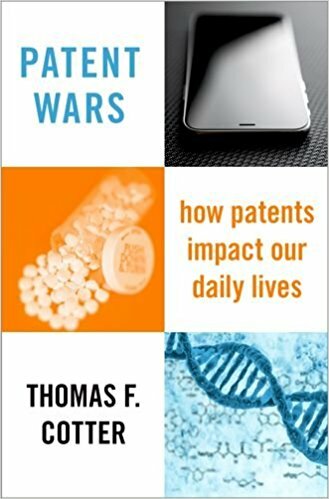 The post raises, among other things, an interesting question about the scope of antisuit injunctions, namely whether an injunction (issued, say, in the U.S.) against enforcement of a patent in another country would cover an attempt to cover a utility model derived from a patent application. Perhaps it would be advisable, for companies seeking such injunctions, to ensure that their scope is as clear as possible up front. State Intellectual Property Office of the P.R.C.